Caitlyn Jenner’s children went overboard to shower her with gifts on Father’s Day, according to reports. The annual holiday was vastly different this year for Caitlyn who transitioned from her former identity of Bruce earlier this year. However, Caitlyn’s family are said to have done everything in their power to make the occasion as special for Bruce now that she is Caitlyn. According to TMZ.com, daughters Kendall and Kylie Jenner, and stepdaughters Kim, Kourtney and Khloé Kardashian bought dresses, shoes and jewellery to add to Caitlyn’s wardrobe. And while her eldest sons Brandon and Burt were unable to pick anything fashion-wise for their parent, they instead decided to give her the greatest gift they could think of by doing her yard work for the day. 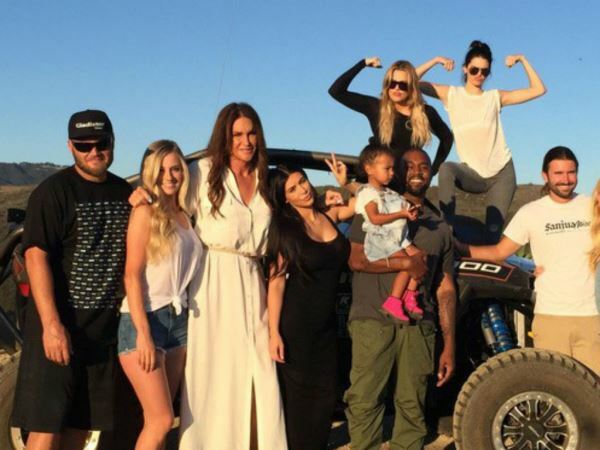 Sources told the outlet that Caitlyn felt the occasion was her best Father’s Day to date. The 65-year-old took to Instagram to share a photo of her family on Monday. “Great day yesterday for Father's Day. We had so much fun off-roading. So much love and support! Love my family! (sic)” she wrote alongside the image which featured all her children except for Kourtney, Kylie and Robert. Before the outing, Kendall and Kylie used their social networking profiles to thank Caitlyn for her love over the years. “My whole life this soul was my daddy and just because your appearance is different now doesn't mean you were any less of a father to me my entire life,” Kendall wrote alongside a photograph of her as a little girl getting a kiss off her dad. "Happy Father's Day to the person who raised me, and taught me everything I know, my hero. (sic)"